There are times when I hit up my favorite thrift stores and come out with an item that’s so unique I can’t help but smile. An item that I would have never written down on my search list. Those days are fun. Today though I wanted to share with you the 5 Best Thrift Store Buys you can almost always count on to find. 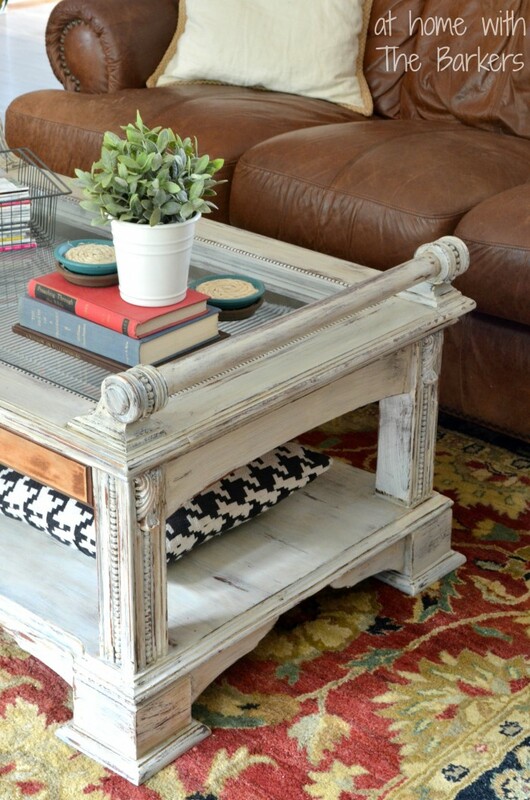 These 5 Best Thrift Store Buys are a budget decorators secret weapon. 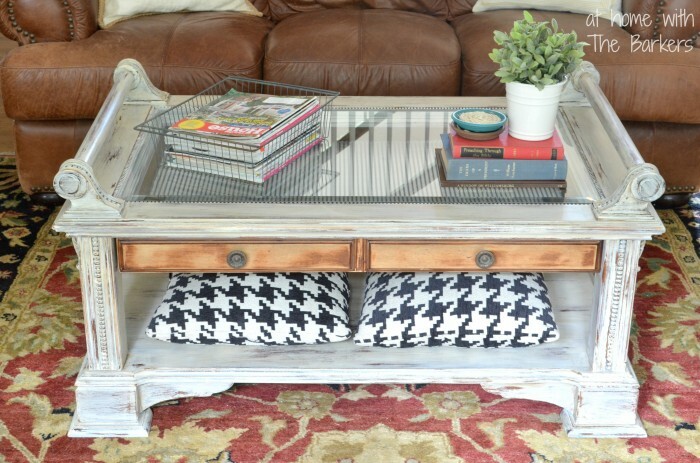 Items that can be used in any home decor sometimes as is and other times with a little makeover. You can find so many different style of lamps at thrift stores. MY very best tip is to ignore the lamp shade. Almost always the lamp shade will be trash. They will be broken, dirty or the wrong shape and size for the lamp. Keep your eye out for a beautiful shaped base. The thrift store will have a place to let you plug the lamp in to be sure it works. I found both of these amazing lamps at a thrift store and they had great shapes. 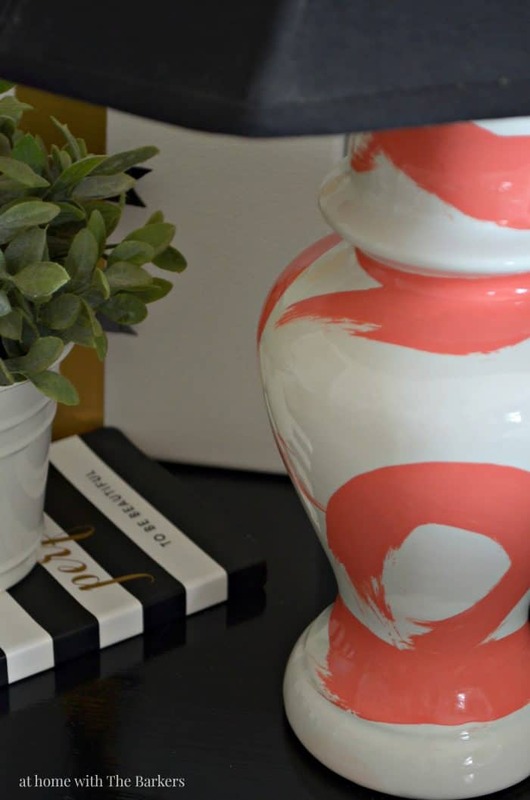 I painted one with a beautiful brushstroke design and the other I used wrapping paper and Mod Podge to give a makeover. Both were for my teen daughters room. When looking for frames at thrift stores I look for all types. Empty frames, frames with art in them and standard photography frames. 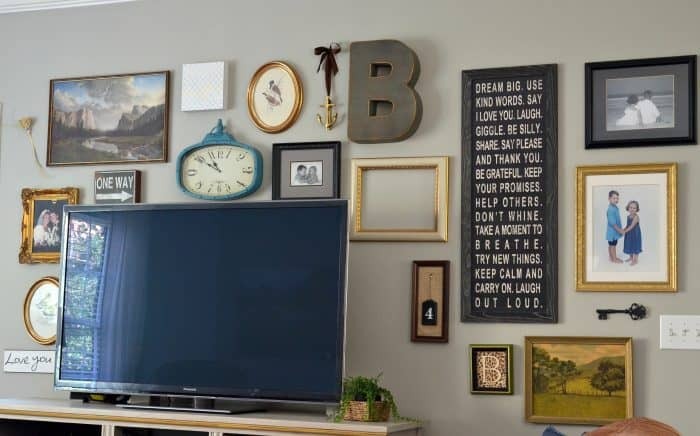 New frames can be really expensive so any time you are in the thrift store be sure to look through all of the frames and think outside of the box for how you can use them. This gallery wall is a great spot to see lots of my thrifted frames in action. Including empty frames and one’s I made into custom art. I love finding white dishes at the thrift store. They are very versatile and require only cleaning, my kind of find for sure. Don’t think you must finding all of the same matching patterns. Mix and match is agreat decorating tip. 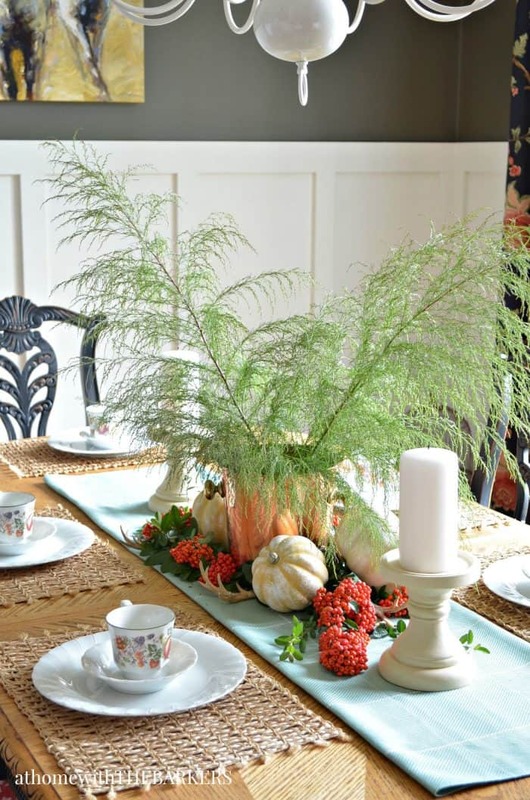 I love to mix mine with my wedding dishes like I did on my fall table setting and my spring one too. 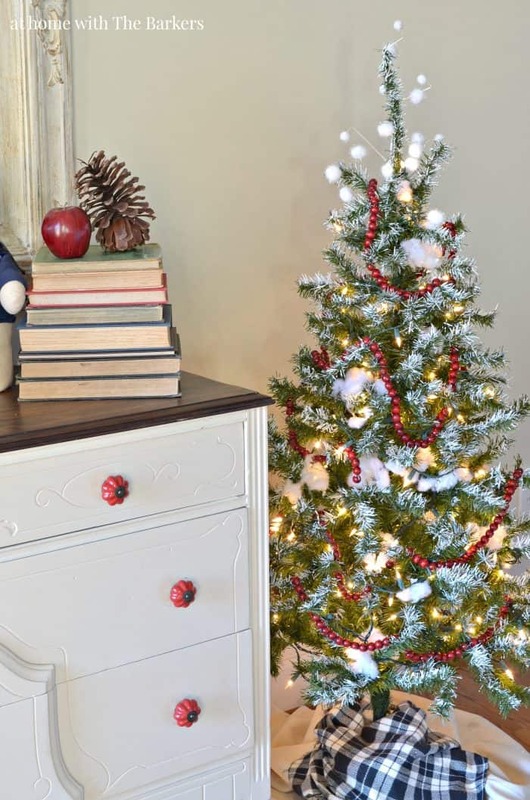 Books are great for adding a vintage touch to your decor and for practical purposes like giving height to items. Usually I find books between .50 cents to $1. You can’t beat that! 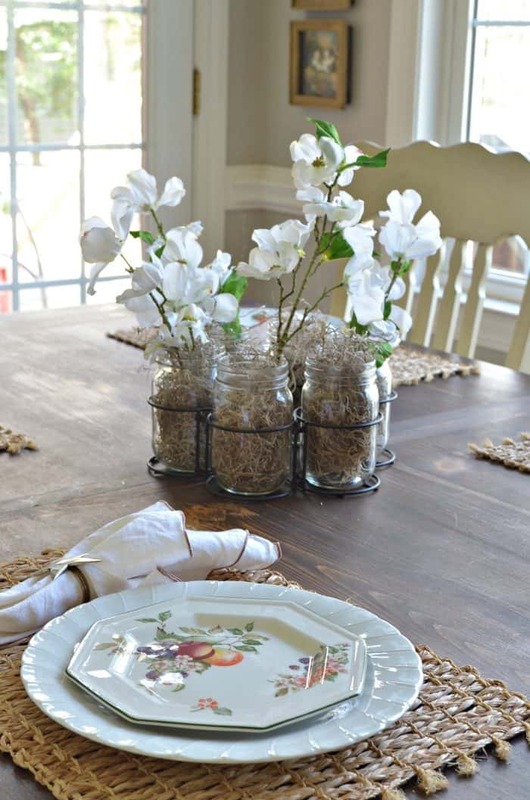 Containers are useful for all kinds of things from table center pieces to coffee table decor. 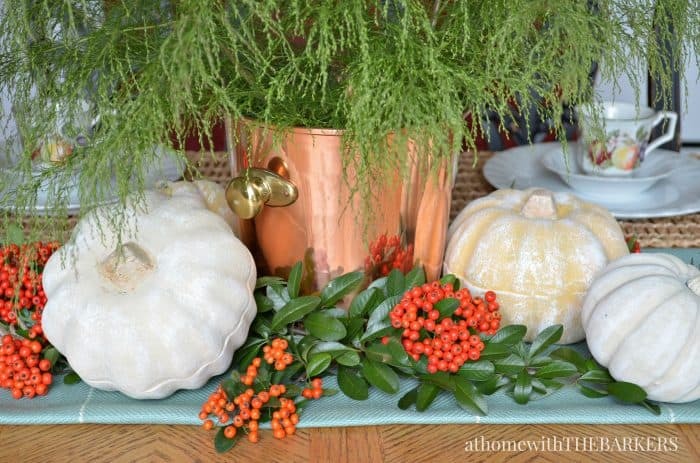 The copper ice bucket I used last fall for greenery on my dining table center piece. The vintage metal basket is great for storing magazines. You could also use it to hang on the wall in a collection, that would be fun. These are my 5 Best Thrift Store Buys, do you have any suggestions you would add? Also, I only ever buy things at thrift stores that I can clean well and that don’t have a terrible smell. This is why I avoid upholstery pieces. My son is allergic to cats so I can’t take that chance. Great tips! I love shopping for all of these items. I think my favorite finds are dishes and baskets; I haven’t had as much luck with lamps as you have! 🙂 You’ve inspired me to do some thrifting, it has been awhile! Have a great day Sonya! I found the best basket last week. It’s a circle and has a handle for hanging, it’s going to look great with greenery hanging from it! Any lamps sized above the bedside height, become absurdly reasonable at the thrift store. That is even after re-wiring, paint, new shade and energy efficient bulb. I never have confidence in the wiring- because I do not know the history of the lamp- attic or basement treasure rediscovered after 40 years?From a storm damaged home? The wiring can function, but be so brittle it is a fire waiting to happen. A clean exterior means nothing. Rewiring also allows you to use 3-way bulb sockets for more usage options beyond a reading lamp or mood lighting. The new lamp shade is the most expensive part. I enjoy looking at my thrifted refurb lamps and then matching them to new lamps online. The price differences are very gratifying.